Slim fit is way too big around torso. Response from Charles Tyrwhitt: I do understand that finding a shirt with the correct fitting is very important, so it is most disappointing that you have found the slim fit cut to be unsuitable when compared to the shirts you already have in your wardrobe. At Charles Tyrwhitt, we understand that not all fits are going to be as suitable for everyone which is why we offer four different types. On this occasion, I would perhaps recommend trying one of our Extra Slim Fit shirts. Looks and fits great. Will very likely buy more. Shirt is great overall, but would love an "untucked" option with a shorter/hemmed body length. 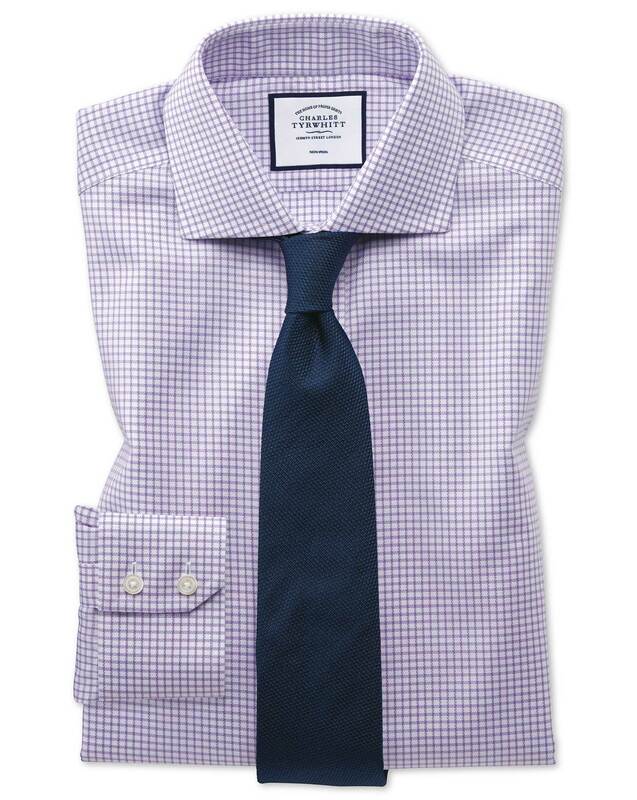 That would make Charles Tyrwhitt my go to for forever, but without it I'll keep looking.